Roots Black Friday offer continue with today's one-day deal! 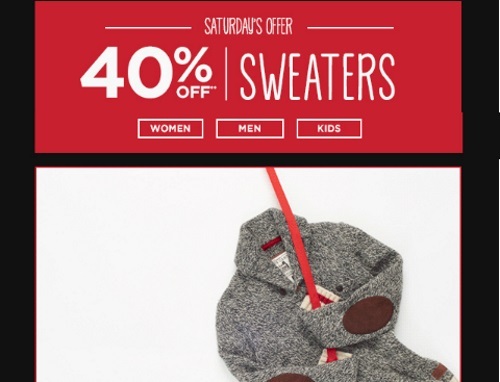 Save 40% off sweaters today only! Also save 30% off your entire purchase! There's a new offer during their 6 Days, 6 Offers promo, Sunday's offer is 40% off kids, baby and toddler items.